This white paper, based on IDG’s 2018 Digital Business research, provides an understanding of organizations' digital transformation plans by outlining the technologies they are adopting and strategies they are implementing to succeed. The study reveals that 89% of organizations have plans to adopt a digital-first business strategy, however only 44% have fully adopted this approach. 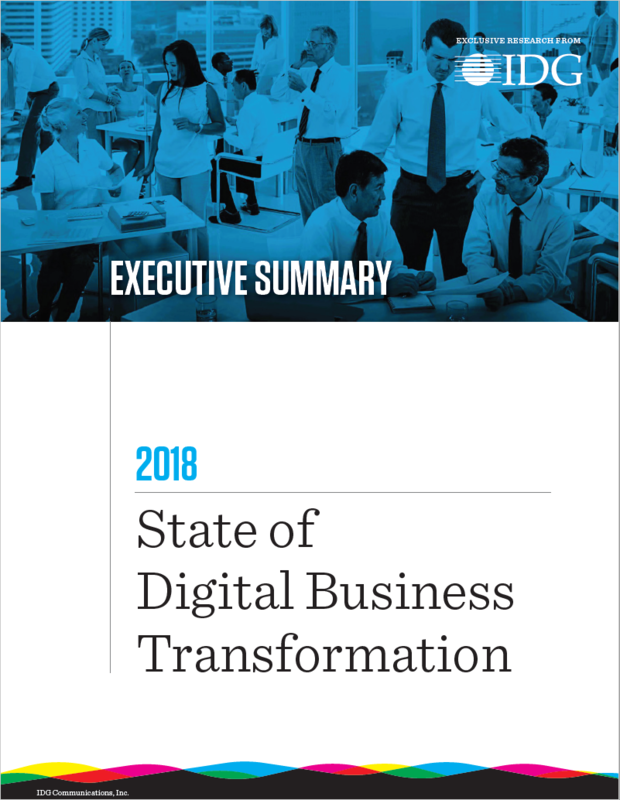 Grab your copy of the State of Digital Business Transformation by filling out the form to the right.